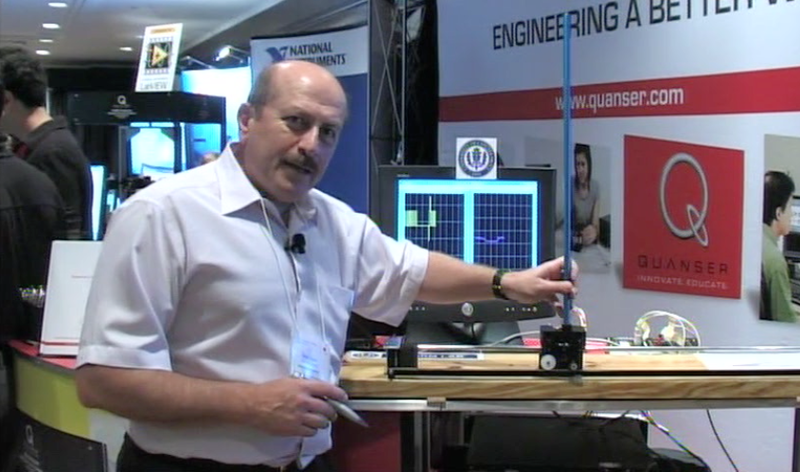 Quanser's Linear Inverted Pendulum (IP02) system was utilized by Dr. Nejat Olgac of the University of Connecticut in his ongoing research on Time Delayed Systems. The IP02 system was used to validate a unique paradigm called the Cluster Treatment of Characteristic Roots. (CTCR). To validate the CTCR Paradigm, Dr. Olgac used Quanser’s Linear Inverted Pendulum (IP02) system. With four patents already issued and a fifth one on the way, the research of Dr. Olgac and his team from ALARM Laboratory has a wide range of applications that extend from the machine tool industry to high speed milling and jet engine design. At the 2012 American Controls Conference, Quanser hosted Dr. Olgac and his colleague Dr. Rudy Cepeda-Gomez, who presented their Inverted Pendulum Stabilization with Two-Delays and CTCR Paradigm research. Watch the video below to learn more. Scaling Earthquakes - the Quanser Way!